Yr. 10 football champions, our school St. Francis Xavier’s College, Liverpool! 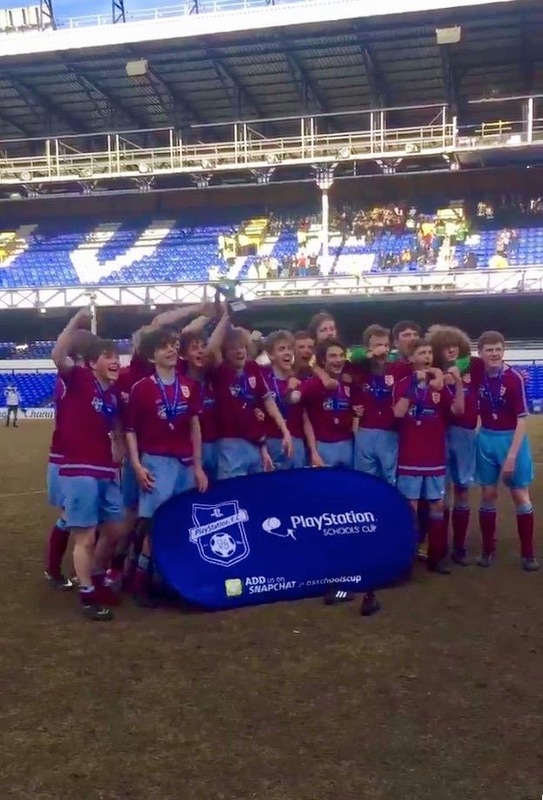 Our school Yr. 10 footie team (St. Francis Xavier’s College, Liverpool) are now city, county AND NATIONAL champs after a wonderful final at Everton’s Goodison Park vs. Little Heath School (Reading). 2-2 after extra time, SFX winning 5-4 on penalties. Our Yr. 9s had earlier today lost a national final of their own to Beths Grammar School (Kent). An incredible achievement to get 2 teams into national finals. For Vocations Sunday: A Day in the Life of a Religious Brother (me! ), filmed two years ago.